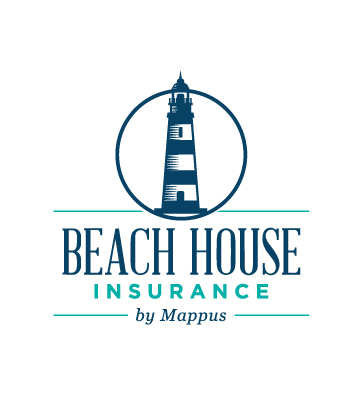 Homeowners Insurance Archives - Mappus Insurance Agency Inc.
You’ve been living in the Lowcountry for a long time or maybe you just moved here from the midwest or northeast and your Homeowner’s Insurance is with State Farm. You feel great, right? After all, you’re with a “giant” insurance company that you constantly see tv commercials for. Please don’t take this with any disrespect but you may want to think twice about who is insuring your home in coastal South Carolina. Now let me preface everything I say below with THERE IS NOTHING WRONG WITH STATE FARM AS A COMPANY (my grandpa actually worked for State Farm back in the day!). The purpose of this article is to expose some secrets that your State Farm agent in South Carolina does not want you to know. Are you ready to hear these secrets? Make sure you are sitting down because these are some whoppers that could cost you BIG TIME. #1 – Check your deductibles. From our research, State Farm clients have deductibles that are TWICE the average of other insurance companies that write on the coast in South Carolina. What does this mean for you? In addition to your premium that you pay, you will have higher out of pocket costs. This makes your “true cost” of insurance much higher than your neighbors and friends. Don’t find out after a loss that your claim is simply not covered because you haven’t reached your high deductible yet. In addition to your deductible, you may even have a separate “wind and hail policy” through SCWHUA (aka the wind pool). This is a HUGE SECRET your State Farm agent won’t tell you…this is literally a “last resort” option…you can read for yourself on their website. In many cases, State Farm agents don’t have the option to write the wind insurance on your homeowner’s policy so they must resort to this high cost, minimal coverage option. Andrew’s Tip: You are going to have multiple deductibles on your policy. One is for “wind or named storms or hurricanes” and the other is for “all other covered losses”. Make sure you understand ALL deductibles. Often times the wind deductible can be $20,000+ and you don’t even realize it! Secondly, if you do have a separate “wind and hail policy”, you should strongly reconsider reviewing this policy with an independent insurance agent so you fully understand the limitations and restrictions this policy has. #2 – Check your pricing. From our research, coastal South Carolina State Farm clients are paying on average 35% more than non-State Farm clients. Think about this, you could possibly be paying 35% more each and every year. Over a ten year period, that could be thousands or tens of thousands of dollars wasted! Andrew’s Tip: State Farm doesn’t have the ability to “shop” your insurance with multiple companies. 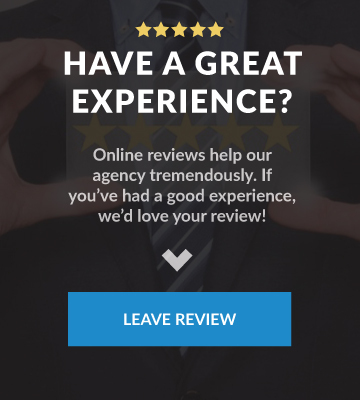 We recommend finding a really good and trusted “independent insurance agency” because they do offer “options” to fit your precise needs and wants. Make sure that you are paying a fair price, receiving low deductibles, and are with a trusted company. Here is a list of the trusted companies that we work with at Mappus Insurance. addition, State Farm cannot access any private flood insurance companies. 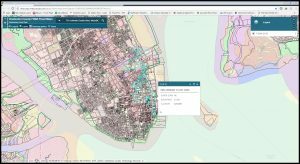 Our research shows that by not having private flood options, you could be paying a lot more for your flood insurance and be limited on coverage for things like detached structures, swimming pools, and loss of use coverage. Again, costing you more if a loss occurs. Andrew’s Tip: Similar to #2 above, because State Farm doesn’t have the ability to “shop” your flood insurance for the best pricing and coverage needs, you are at a disadvantage. We recommend finding an “independent insurance agency” that can find you options to confirm your peace of mind with coverage and pricing needs. 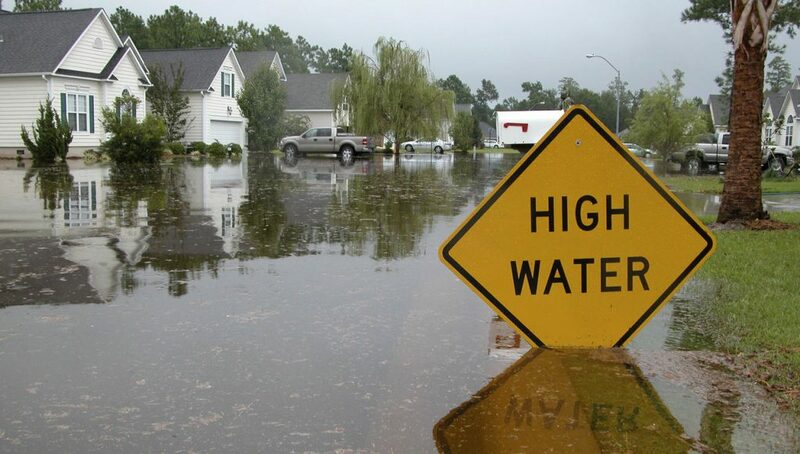 Not only do we recommend an independent insurance agency, but we also recommend one that specializes in flood insurance as flood insurance on the coast in South Carolina can be extremely confusing and stressful to navigate. 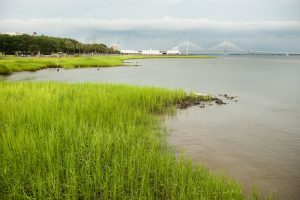 In closing, homeowners insurance and flood insurance can be very tricky and extremely tough to navigate in coastal South Carolina. Many people “assume” that because they have been with State Farm for their entire life, that State Farm is the best option for them in coastal South Carolina. We recommend to do your research, collect the data, make informed and educational decisions, and make sure you can trust your agent. After all, we are insuring your largest asset, right? Those of us lucky enough to live in the Lowcountry, specifically Charleston, Mount Pleasant, Daniel Island, Isle of Palms, and Sullivan’s Island understand why it remains a top travel destination for people from around the world. In fact, it was just last year that Travel + Leisure magazine rated Charleston the best city in the world (the first U.S. city ever to claim the honor). With more tourists than ever traveling to the state of South Carolina, it’s natural that the ways to accommodate them have changed. While Charleston still boasts some of the world’s finest hotels, many visitors find their “home away from home” on home-sharing sites. Companies like Airbnb, HomeAway and VRBO are part of a booming, multi billion-dollar web-based industry providing short-term home rentals. This new “sharing” economy makes it easy and affordable to do more of the things people enjoy, like travel. However, it also introduces new challenges and risks – especially when it comes to insurance. It’s important to understand that not all homeowners insurance policy extend the same coverage. Your homeowners policy may or may not cover damage done by or injuries to short-term renters while they are in your home. Most likely, the answer is NO COVERAGE. This is because most insurance companies view “home-sharing” as a business, and business activities are specifically excluded under a homeowners insurance policy. This could mean major gaps in coverage and your claim being denied! This could put you and your assets on the line. While many homeowners insurance companies, like SageSure Insurance Managers, are adapting to the new economy by providing coverage for home-sharing through a policy endorsement, others exclude this exposure entirely or sell a separate policy. The only way to be sure you have adequate coverage to protect your home in a home-sharing situation is to talk to your licensed local independent insurance agent. Just a few minutes of consultation could save you from finding yourself uninsured in the middle of a disastrous claim. 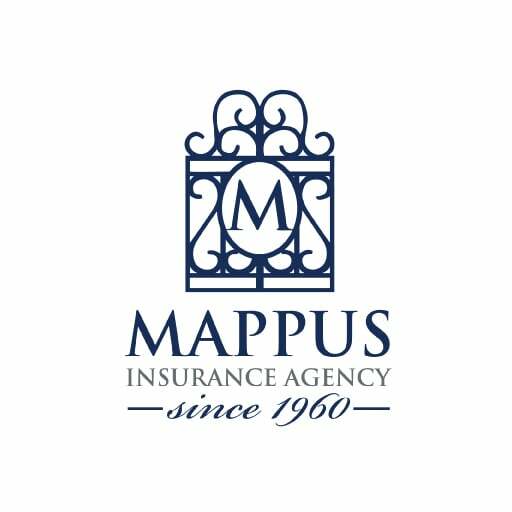 For a complementary coverage review of your homeowners insurance policy, call Mappus Insurance Agency today at 843.763.4200 or complete the form below to get the process started! Any specific details or questions? 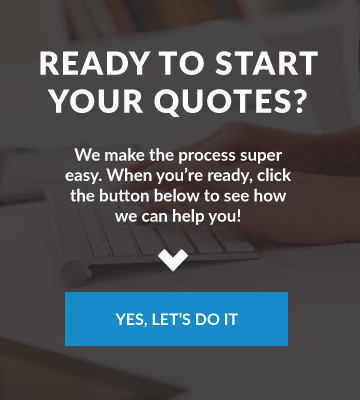 Many of the companies that we write insurance with provide online portals where clients can access their policy documents, pay bills, and check the status of claims that have been filed. We’ve provided instructions for each of those companies below in alphabetical order for your convenience. 2.Enter your chosen Username, your Email Address, and choose a Password. 3.Enter your Policy Number and Mobile Phone Number. Your Policy Number can be found at the top of the left hand corner of your declarations. 3.Enter your chosen Username, email address, policy number, and click Register. Your Policy Number can be found at the top of the left hand corner of your declarations. 2.Click Create an Account on the bottom left corner of the screen. 3.Choose your username and password. 4.Enter your Policy Number, Property Postal Code, Last Name, and Email Address. 2.Enter your email address. This will be your User ID. 3.Verify your identity by entering your Policy Number, First Name, Last Name, Mailing Zip Code, Phone Number, and Date of Birth. 3.Enter the requested information. Your Policy Number can be found on the top left hand corner of your Policy Declarations. 4.Verify your email address by clicking the link provided in the email from Sagesure. 3.Choose what Alerts and Messages you would like sent to you. Insurance companies have a multitude of factors that go into the rating of a policy. Some of those factors include the age of the home, distance to the coast, prior loss history of the insured, prior liability limits, wind mitigation features, alarm systems, and the list goes on and on. One factor that has increasingly become a large part of the rating mix is the Insurance Score. Most people are familiar with their credit score, but are a bit perplexed at what an Insurance Score is. To help you better understand what your Insurance Score is, we went straight to the source – TransUnion. The document linked below provides six pages of information to help you understand how exactly your insurance score is derived and what factors can potentially help or hurt it. Make no bones about it, shopping for homeowner’s insurance can be a daunting process especially when looking on the coast. While it may be the easiest to compare, premium should not be the sole deciding factor in your insurance. Below are five items to look at while shopping for homeowner’s insurance. What would you do with an extra $100 per month? We often think of the above things and think “if only we had a little more money in our budget”. Well, we recently helped a family do just that. They had a homeowners, auto, umbrella, and boat policy with a large captive company. They had been with that company for many years and that company had gotten complacent and were no longer giving their client the customer service and attention they desired and deserved. They came to us to see if there was anything we could do to help them. We were able to MATCH their previous coverage while REDUCING their deductible from a $21,500 Named Storm Deductible to a $2500 Hurricane Deductible. In the event of a hurricane, this alone would save our client $19,000! Not only is the policy we provided them superior to their prior policy, but it was less expensive as well. All in all, our policies saved our new client $1200 over the course of the year – adding $100 to their monthly budget! Contact us today to let us provide you with a proposal that could potentially save you over $100 each month! Why are our coastal companies so much less expensive than captives? When helping our clients with their insurance needs, we get quite a few questions. What do I look for when comparing policies? 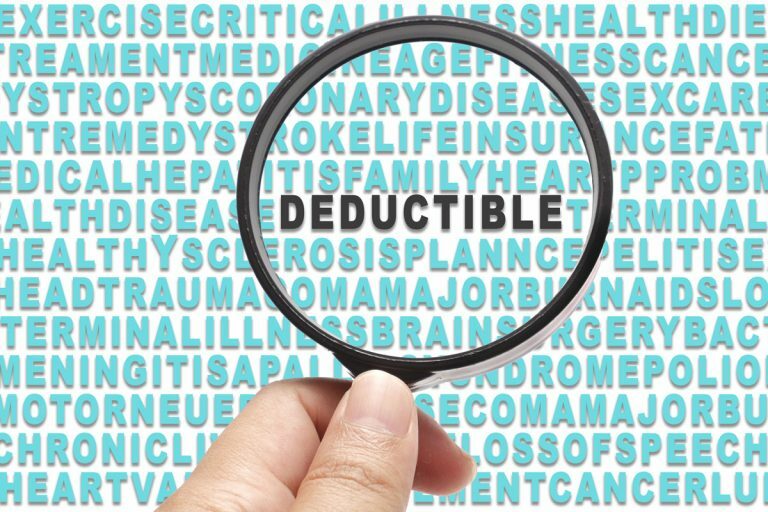 What do the different deductibles mean? How much will my insurance cost? Why are your companies so much less expensive than captives, like State Farm, Allstate, and Nationwide? We’ve covered the first three questions in previous blog posts. If you want to check them out, simply click on the question to view that post. Today, we’re going to focus on why the companies we work with are more affordable than the “big guys” that you see on television, like State Farm, Allstate, and Nationwide. Company Appetite. Each insurance company has it’s own “appetite”. Some companies rate up best for new construction homes, some for older homes, some for inland homes, and some for coastal homes. The big companies you hear about have an appetite for homes that are inland that have less perceived exposure to hurricane speed winds. Since they don’t want to write coastal properties, they charge more to make it worth their while. Our companies’ appetites are for coastal insurance. They WANT to write these properties, so naturally their pricing is going to be more competitive. Financial Backing. Our companies are A-rated by Demotech or AM Best. This means that they have sufficient financial assets and backing to pay claims in the event of another Hurricane Hugo or major earthquake. This is not to say that large captives are not financially sound, but they don’t want to put their assets on the line with the extra exposure present here. Re-insurance. All of our carriers have “re-insurance” which is insurance for insurance companies. So, they are in essence backing themselves with two, three, and four layers of coverage to withstand multiple major storms every year. Are you currently with a large captive company? Contact us at 843.763.4200 or fill out our online form here to what savings we can provide for you. We recently moved a client from State Farm to one of our coastal companies and was able to save him thousands on his premium while also reducing his deductibles.